PHOENIX – The new manager of the Arizona Diamondbacks learned how to manage beyond the playing field from two of the best. Sparky Anderson and Terry Francona won over players with their communication skills as well as a combined five World Series championships. 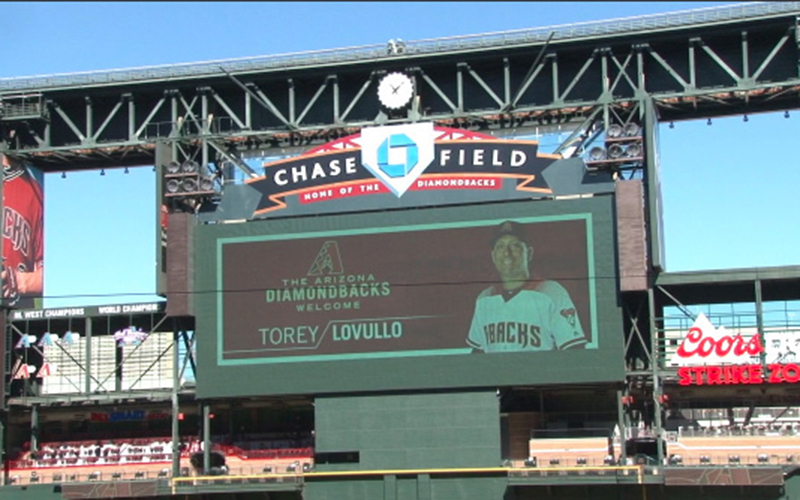 That’s Torey Lovullo’s new mission as the Diamondbacks eighth manager in their 19-year history and fourth in the last eight years. Lovullo, who played in 303 games over parts of eight Major League seasons, broke in with the Tigers in 1988 under Anderson. He played his final year in 1999 with the Phillies when Francona was the manager. Francona went on to manage the Boston Red Sox to world championships in 2004 and 2007. “He taught me the art of communication and how valuable that was,” Lovullo said at his introductory press conference Monday. This is his first big league managing job, but Lovullo isn’t new to managing. He began managing in 2002 in the minor leagues, where he compiled a 661-609 record through 2010. He joined the Toronto Blue Jays in 2011, where he began his major league coaching career alongside manager John Farrell. In 2013, Farrell moved to the Red Sox where he made Lovullo his bench coach. The Red Sox won the World Series that year, and in 2015 he took over as interim manager for Farrell, who was diagnosed with lymphoma. The Red Sox had a 28-20 record under Lovullo. Lovullo arrives in Arizona to a familiar face, Mike Hazen, general manager for the D-backs and former front office executive of the Red Sox. Last season, the Diamondbacks finished a disappointing 69-93. Lovullo is expected to turn around a program that is stocked with young talent. He said he’d start by listening to his players.